Welcome to Aluminum City. We are Poway's trusted source for beautiful and functional patio covers, window awnings, door hoods, carports, and room enclosures. In business since 1963, our company has served thousands of clients throughout Southern California, including Poway. We're renowned for our industry knowledge, skilled craftsmanship, and personalized service. 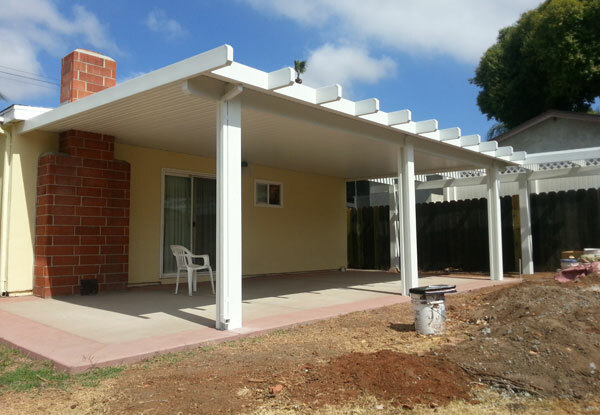 To ensure that our Poway clients consistently receive superior products at a highly affordable price, all of our work (from patio cover design and sales to installation and replacement) is done by our owners. Our owners have more than 30 years of hands-on experience each. They'll make sure that you make the right decisions for your needs and budget, and that your patio cover installation is expertly executed. Aluminum City relies exclusively on the high-quality building materials manufactured by Four Seasons Building Products. As an authorized dealer for their company, we can buy their products directly and offer our Poway clients their complete line of patio covers, carports, and patio room enclosures. What sets Four Seasons Building Products apart from its competitors is its use of high-grade structural aluminum practice of applying primer before baking on paint, and backing each of their products with a Lifetime Limited Warranty. Whether you're seeking an outdoor canopy for additional sun protection or a sunroom to expand your living space, call Aluminum City today. We provide free on-site project estimates and consultations for our Poway clients, and our project turnaround is generally 2-3 weeks. Our business hours are 7 a.m. to 10 p.m., and we're open seven days a week. Aluminum City is licensed, bonded, and insured. 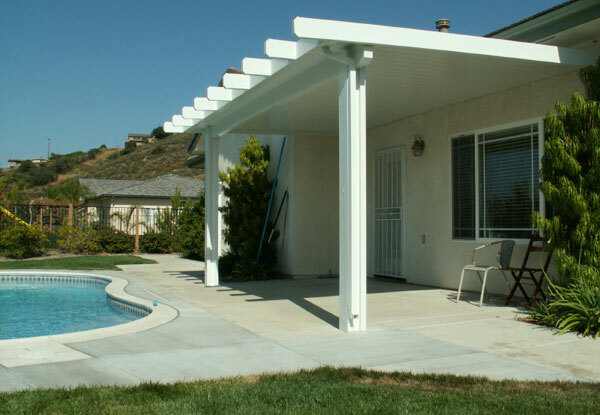 At Aluminum City, we provide high-quality patio covers in a wide range of choices and styles for our Poway customers. We offer our customizable patio covers in six different enamel paint colors and either a smooth or wood grain finish. Our patio covers can also be finished with different end cuts (corbel, scalloped, bevel, miter) and column thicknesses (standard, round Roman, square Roman). 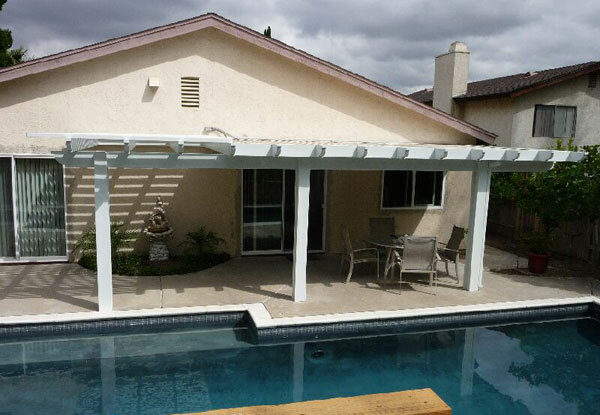 Depending on your personal preference and the purpose for which you are building your covered patio, we can provide coverings with a solid, pergola/lattice, or combination top. Our solid top patio covers all come with built-in gutters and spouts to ensure proper water control. The aluminum material means our Poway clients don't have to worry about damage from termites, bubbling, flaking, rotting, or rusting. 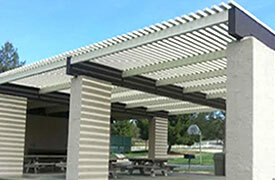 Lattice/pergola patio covers are an alternative to solid top patio covers. Beautiful and spatially inviting, they make an attractive addition to any Poway residence or commercial property. 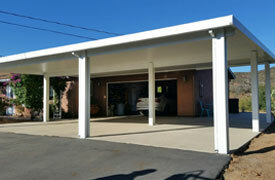 Aluminum City has years of experience designing, building, and installing pergola patio covers. We can build them with an entirely lattice design, or as a combination lattice/solid top. Our covered patios are virtually maintenance-free, as well as durable and lightweight. They provide protection from the sun, and can be customized to match your aesthetic preferences and surrounding Poway property. We offer our clients a wide range of design choices, including color, cut, finish, and column thickness for their pergola patio cover. Our company sells and installs insulated patio covers. 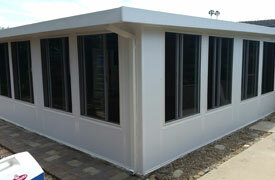 Patio covers can be built to stand alone or be integrated into a patio room enclosure (or sunroom). These covers are 3-4 inches thick and filled with polystyrene foam for energy efficiency. When we build enclosed rooms, we incorporate insulated walls, dual-pane windows, and your choice of door (regular, French, or sliding). We have a licensed and bonded electrician who performs all of our electrical work for our patio covers, and all of our products come with built-in gutters and spouts to divert rainwater. The covers can be installed with your choice of lights and fans. At Aluminum City, we always build our patio covers to code, and we can help obtain any required building permits. 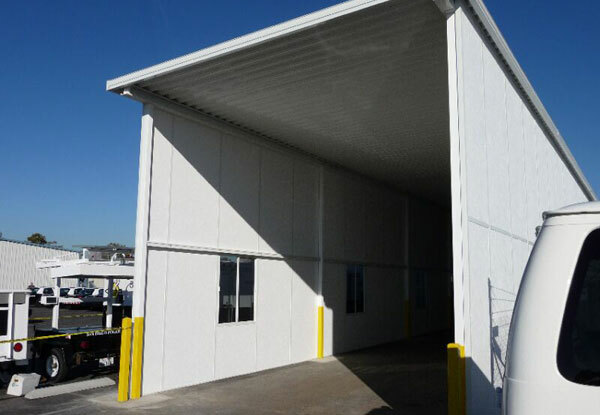 Aluminum City has built all kinds of residential and commercial carports for customers throughout San Diego, including Poway. Available as a freestanding or attached cover, our canopies have ranged in size to fit a single car to up to a hundred cars. When constructing a car canopy for a client, our process at Aluminum City is to come out to your Poway property. We look over the site and discuss how you plan to use your carport in order to come up with the perfect design. Our durable carports are all built to code and feature a solid top to ensure maximum protection from the elements and sun. 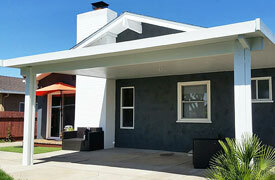 We build and install custom-made awnings for windows and doors for our customers in Poway, California. 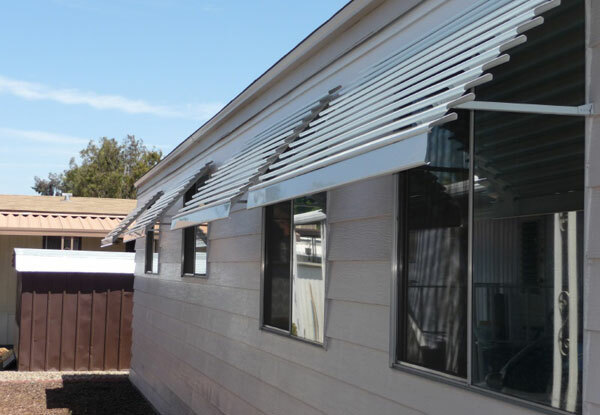 Each awning consists of aluminum slats manufactured at Four Seasons Building Products that we customize to perfectly fit the windows and doors of each Poway property. These aluminum awnings and door hoods come in twenty different colors (that can be mixed or alternated for greater curb appeal) for a further personalized look. Our past window awning and door hood clients include San Diego retirement homes, office buildings, Navy bases, restaurants, border patrol sites, police departments, and residential homes. We offer our awnings and door covers as a cost-effective and low-maintenance alternative to fabric. Finally, our awnings are long lasting and built to endure for a minimum of forty years. 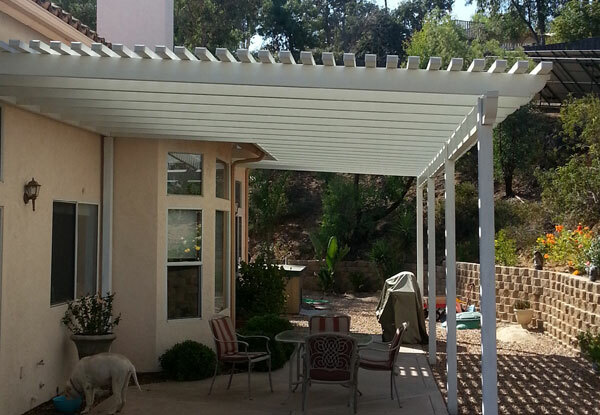 Aluminum City installed this solid 6" flat pan aluminum patio cover in Poway, CA. The attached patio cover includes a wrapped fascia, beam, miter end cut tails, and an embossed wood grain finish.